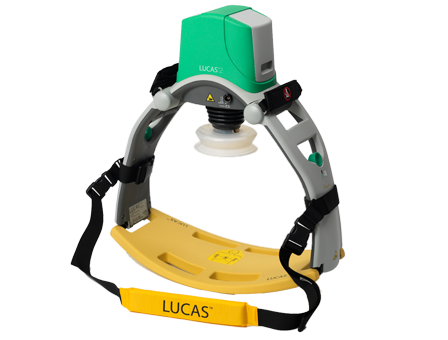 A reader posed an interesting question last week: can you use the Lucas chest compression device in a pregnant patient? CPR has increased the survival rate of patients suffering cardiac arrest, and early bystander CPR has been shown to double or triple survival. The sad truth is that CPR is not frequently performed by the general public. 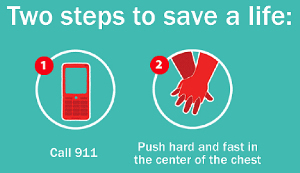 The American Heart Association has attempted to simplify CPR to the point that even untrained bystanders can administer chest compressions without a pulse check and without rescue breathing. But what happens if that well-intentioned bystander starts CPR in someone who has not arrested? How often does this happen? Can the patient be injured? The Medical College of Wisconsin reviewed the charts of all patients who received bystander CPR in Milwaukee County over a six year period. There were 672 incidents of bystander CPR. Of those cases, 77 (12%) were not in arrest when assessed by EMS personnel, and the researchers focused on those patients. EMS response time averaged 5 minutes, and was greater than 10 minutes in only 2 cases. Average patient age was 43(!). The male/female ratio was just about 50:50, and the majority of the incidents took place in the home or residence. Hospital records were available for further analysis in 72 of the patients. A quarter were sent home, a quarter admitted to a ward bed, and half were admitted to an ICU. Only 12 (17%) had a cardiac-related discharge diagnosis. The next most common discharge diagnoses were near-drowning, respiratory failure and drug overdose. Younger patients (<19) were usually near-drowning victims, and older patients (>54) were most commonly diagnosed with syncope. Five patients did not survive. Only one CPR injury was identified, which was charted as rhabdomyolysis “secondary to having received CPR” (a weak injury diagnosis, in my opinion). Bottom line: The potential benefit of bystander CPR outweighs the risk of injury or performing it on a victim who is not in arrest. This study shows that, although these patients may not need CPR, they are generally very ill. Given the rapid EMS response times and the younger average age of the victims, no real injuries occurred. The new American Heart Association recommendations are beneficial and should be distributed widely. Reference: The frequency and consequences of cardiopulmonary resuscitation performed by bystanders on patients who are not in cardiac arrest. Prehosp Emerg Care 15:282-287, 2011.